My green smoothies are made with any leafy green vegetable such as spinach, kale, basil, parsley, cilantro, carrot leaves, chard, collard greens, celery and fennel. Fruit usually acts as a base, and I always add water for blending purposes. If you don’t have a Vitamix or high-powered blender, you will definitely have to water down these smoothies more! 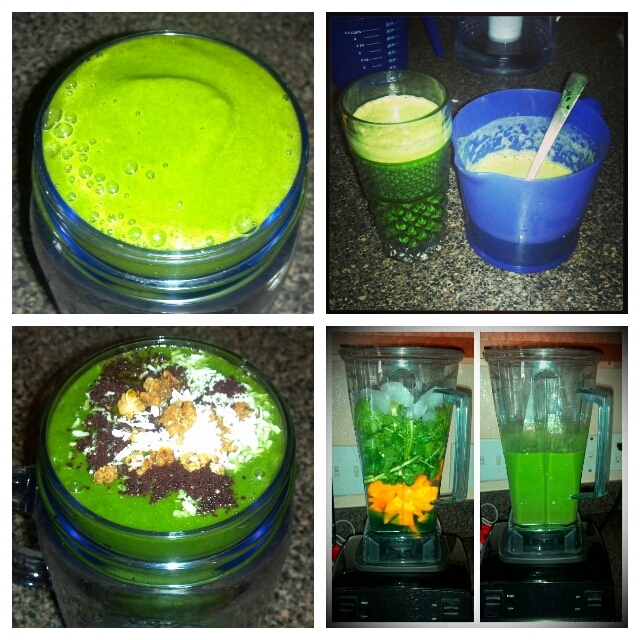 Click here to access all the Green Smoothie recipes!